How to Pass a Test 100% Without Knowing All the Answers! The follower of Jesus does not (nor should not) claim to have all the answers to the perplexities of life, although too many pretend that they do (over-realised eschatology is by definition ‘faking it’ – we would do well to remember Paul said that Christians see through a glass darkly and that we only know “in part”)! 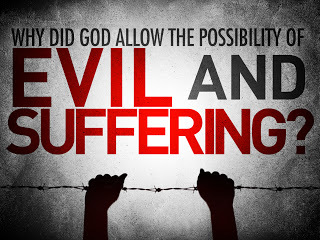 The deepest of all our human questions where our answers are limited is in the areas of evil and pain and suffering. Personal and national, we remember Egypt, Syria, North Korea, Congo, Nigeria, Libya, the West Bank, Iraq, Afghanistan. We think about 9/11, Tsunami’s, nuclear accidents, world wars, local wars, curable disease, incurable disease, infant mortality, mindless violence (and mindful violence for that matter)!! We think about our own contribution to sin and evil and we are perplexed by ourselves – how come we expect to understand what God is doing? And just because we don’t does not give us license to pretend that we do! Likewise, neither does not knowing give us a free pass to lazy thinking and sloppy answers. One way of responding to the plain and honest fact that people, let alone Christians do not know all the answers can be best understood as far as I can see, in a modern day parable: The Parable of the Resistance Fighter. And this is precisely the challenge of Christians in a fallen world. We don’t always know what’s happening, and we often certainly do not know why! Is God there? i.e. does God exist? What is God like? i.e. is God good (his character)? Those who know the answers to that, have the fundamentals as it were. They can ‘walk in the dark’ like our resistance fighter. A walk that is by faith and not by sight. A walk by faith often despite sight! And for the followers of Jesus, both these questions are answered in him. Where do we see most strongly that God is there? In Jesus. Where do we see most undeniably that God is good? In Jesus. That means we know why we trust God, but we still don’t know why God is doing what He’s doing. And that is of supreme importance. Think of Abraham when asked by God to do the monstrous act of sacrificing Isaac. Abraham didn’t know why God asked or why He even desired such a thing, but what Abraham did know was that God is there and God is good. And his obedience led to Isaac being spared at the last second, and Abraham learned what it meant to trust God in the dark. And it was credited to him as righteousness! Paul even says in Gal 3:8 this Abrahamic act of blind-trust was an example of the Gospel being preached. The Commander tests the resistance fighters. God tests those who follow him. You can only pass the test by faith, and it’s the only test you can get 100% in without all the answers! How cool is that? But after the war is over the resistance leader happily shares why he did what he did, divulges all the secrets, in the plain light of day. But here and now, we walk by faith in the Son of God who loved us and gave himself for us. Brothers and sisters, if you want to know the Supreme Commander of the greatest resistance the world has known, the Commander has won, he has defeated the enemy, the end is in sight, repent of your sins and join the revolution. That is all you must do. Repent and believe, and then and only then, like Abraham, obey. For those who are already enlisted, friends, we know God is there and we know God is good. We will never know all He does. Goodness me, I don’t even know why I do all I do! But I do trust Jesus, the author and perfecter of my faith.